If you have been wanting to bring about a change in your current eating habits and adopt a healthier way of life, what better role model is there to follow than the Prophet Muhammad (PBUH). 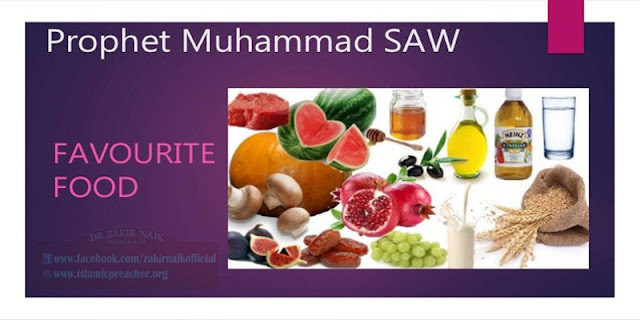 Prophet Muhammad (PBUH) led a life of balance, moderation and had an extremely nutritious diet. According to the Prophet (PBUH), meat is the king of foods as it is full of protein and minerals like Zinc, Iron etc. These minerals are essential for bone strength and play a vital role in maintaining the human immune system and body tissue. Grapes were another favorite food item of the Prophet (PBUH). It also has a lot of health benefits which include the purification of blood and are really good for the kidneys and bowel movement as well. Honey is a natural cure for almost all types of illnesses. The Prophet (PBUH) used to drink a glass of water mixed with honey every single morning. Honey is considered to cure all ailments ranging from stomach issues, appetite issues and controlling phlegm. Olives are also one of the foods of Paradise and Allah (SWT) swears upon them in the Quran (as mentioned above). It is really beneficial for skin and hair treatments and is also used for healing when it comes to stomach inflammations etc. Stop, O ‘Ali! You have just recovered from an illness. Melons are high in water content and low in calories. It contains various Vitamins and minerals along with anti-cancerous properties. And can also contribute towards the cure of kidney ailments, stomach ailments and heart conditions. It is also known for its anti-aging properties and skin treatments. It was one of the Prophet’s most favored vegetables. It is immensely beneficial for lungs and combats birth defects in humans. Also it serves as a cure for diseases like asthma, blood pressure, some types of cancer and heart ailments. A tailor invited the Messenger of Allah (PBUH) to a meal which he had prepared. All these food items listed above have great health benefits and should definitely make it to your month’s grocery list! If you start including these food items in your daily diet, your health is sure to improve, after all, it is the Sunnah of the Prophet Muhammad (peace be upon him).